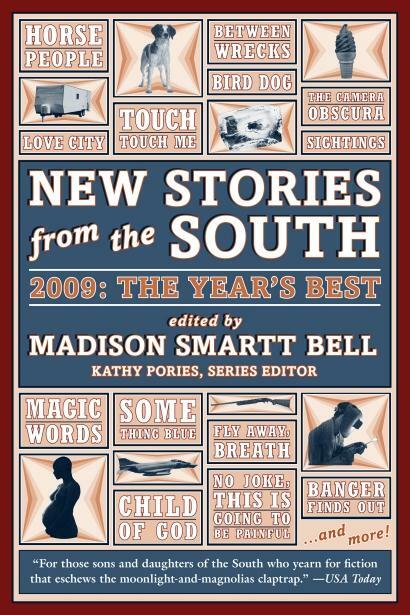 OUT NOW: In the twenty-fourth volume of this distinguished anthology, Madison Smartt Bell chooses twenty-one distinctive pieces of short fiction to tell the story of the South as it is now. This is a South that is still recognizable but no longer predictable. As he says, “to the traditional black and white recipe (ever a tricky and volatile mixture) have been added new shades and strains from Asia and Central and South America and just about everywhere else on the shrinking globe.” Just as Katrina brought out into the open all the voices of New Orleans, so the South is now many things, both a distinctive region and a place of rootlessness. It’s these contradictions that Madison Smartt Bell has captured in this provocative and moving collection of stories.